These thoughts all boil down to responsibility. I think the weight of the responsibility should be on the abuser. If you are thinking of doing wrong, I think bells and sirens should go off inside your head for a long time before you can act. Unfortunately, the responsibility to protect ourselves against evil and idiots lies with us, not with the abuser. Among the new tools available to us bloggers, the responsible ones, is Owen Winkler’s AntiLeech WordPress Plugin. No, it does better than that. It produces a fake set of content especially for them that includes links back to your site (and mine, too, ok?) and sends it only to them. When they steal this content, it appears online just like normal, except now you’ve turned the tables on them. You’re actually using the sploggers to promote your own site. AntiLeech can detect a splogger bot using its User-Agent string (an identifier that some bots send when they are collecting data), or by IP address. You can enter a User-Agent or an IP address into the Options panel of your WordPress blog. When a visitor with a qualifying (any checked option on the options page) User-Agent or IP address visits your site, they will see only the generated content. They will see it in your page layout and in your feeds. Anywhere you’re normally outputting content, that’s where the fake content will appear to them. Regular users whose browsers do not match these strings will see your normal content. RSS aggregators should be able to display your content normally, too. 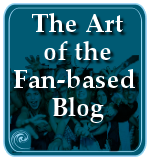 When a splog (spam blog) grabs the feeds from your blog and uses it as it’s own content, it is called scraping. 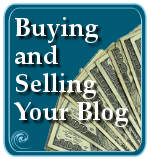 Different blogs have different copyright policies. Use of full content feeds on sites with advertising or considered “commercial”, even with links back to the original site, is often a violation of the most common blog copyright policies. Putting a stop to these content thieves can be difficult, as seen recently with the Bitacle Battle. Then Owen Winkler, WordPress hero, straps on his splog fighting coding tools and steps forward to help us fight back against the splog content thieves. He understood that everything and anything visiting your site leaves behind a footprint. The key is finding their footprint and identifying it as a splog and then stopping them from getting their foot in the door in the future. The AntiLeech WordPress Plugin sends a small graphic “AnitLeech” graphic in your feed’s output. 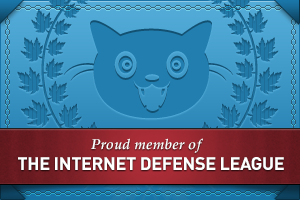 The graphic helps AntiLeech collect User-Agents information that you might want to block. The Plugin’s Administration Panel lists on what page it first saw the User-Agent using the graphic, and provides information to help you better make the decision to block that User-Agent or not. From the Admin Panel, you can choose to block those site’s access or not. AntiLeech will add information to your robots.txt file, a file in the root directory of your site that contains instructions for web crawlers and web bots, computer programs that visit your site and collect information and data. Instructions on denying access to these splog abusers and scrapers is added to the robots.txt file, putting a stop to their visit before they get more than a toe in the door. Once you have activated the AntiLeech Plugin, you will find its panel under Options > AntiLeech. You have several options you can control from there. Under Observed User Agents is the area that will help you detect who may be stealing your content through your blog’s feed. Once you have determined which splogs are stealing your feed content, you can enter in an identifying name in this section. 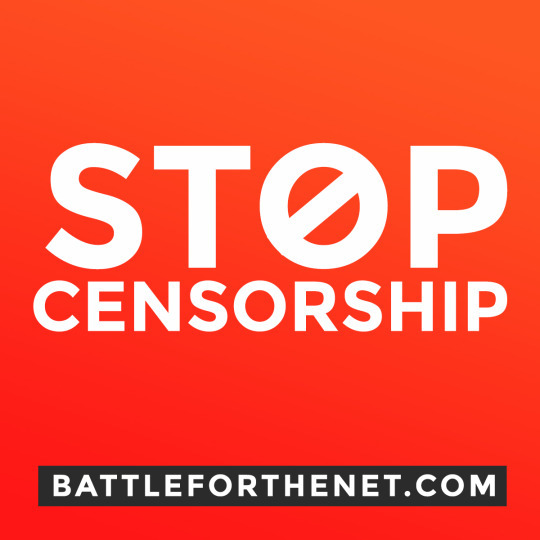 For example, if bitacle.org is stealing your feed content, to block it, add “bitacle” in the form. Any access with an identifying footprint with bitacle in it is considered evil and AntiLeech will kick into action, delivering fake, truncated, and other “unhelpful” information to the scraping site. Under IP Addresses, you can enter part or all of an IP address to identify abusers. Many serious sploggers will play games with hiding and changing their IP address, but not all. Using a combination of IP address and User Agent name will act in combination for stronger protection. If you add the IP address to the list, they will also get the “faux” or fake information when they access your feed. 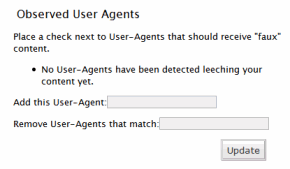 Do not insert the AntiLeech image for detecting leechers into feed output. 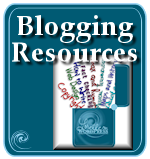 Do not link to my blog inside the generated posts. Do not publish the correct link (in the tag) in my blog’s RSS. That’s some serious options. I especially like the last one. Stopping income generated from your stolen content is brilliant. The last option to set in AntiLeech is the option to control your FeedBurner Redirects. While many think that giving control of your blog’s feeds to FeedBurner will protect you from scrapers and copyright theft, it doesn’t. They help, but they don’t always stop splogs from using your feeds. This is brilliant stuff and a fantastic complement to Digital Fingerprint Detecting Content Theft WordPress Plugin which I highlighted recently, which puts a unique searchable phrase into your feed content and displays search results on your WordPress Administration Panel to help you track if your content shows up in search engines via splogs or scrapers, content thieves. For those using WordPress.com blogs, they’ve been working overtime to put a stop to some big scrapers such as Bitacle. Only when we, the responsible ones, are well armed and fight back, we may see an end, or at least a decline, of the evil doers. I just wish they would bear more of the responsibility for being responsible for other people’s interests and not their own. Don’t you? 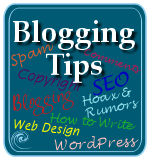 This entry was written by Lorelle VanFossen and posted on October 5, 2006 at 9:31 am and filed under blogging tips, WordPress, WordPress News, WordPress Tips with tags how to use wordpress, wordpress, wordpress help, WordPress News, WordPress Tips, wordpress tutorials. Bookmark the permalink. Follow any comments here with the RSS feed for this post. Post a comment or leave a trackback: Trackback URL. I’m a big fan of Owen’s plugin AntiLeech. I’ve been thinking of various ways to use it other than the simple ‘Warning, you are reading stolen content’. I like your bells and sirens type message in the post above, and when my content gets stolen bells and sirens do go off, I get angry, and I want to get even with the splog. Why not server up fake content that gets the splog in trouble with their host and advertisers? This is a dirty fight, its time us nice rule and law abiding bloggers got a little mean, and learned to throw a little sand, hit low, and especially, roll with the punches. We need to stop being such easy marks. i like this plugin a lot. i just updated to the most recent version. i just hope it works. i dont need someone else claiming my life is theirs. Any official word on how well this works against Bitacle? Nitpick from the grammar Nazi: It’s scraping, not scrapping. Sorry. I’ve been watching discussion around this plugin, but I’ve been hesitant to use it since I don’t really understand the way it works. It sounds like it has the potential to prevent my regular readers from receiving my true feed, so I don’t want to use anything that will prove problematic on that front. How is Anti-leech about false positives? In my case it works based on the IP address, since bitacle seems to use a common user agent string (the plugin lists all user agents that have accessed the feed). Jim: Thanks. No wonder my spell check didn’t catch that. Scrapping is for scrapbook lovers, and scraping is what gets the gunk out from fingernails. 😉 Thanks for the catch. Heliologue: It works as long as you input the information bitacle is using to scrap your blog’s feed. They may change their technique, since they seem to be determined, so you might have to stay on top of this. The Plugin reports on suspected scrapers (and is that scrappers or scrapers? 😉 ) and there is information around the web now on the IP addresses they are using. In other words, like all responsible efforts to stop evil, you have to do the work to keep up with the user agents and IP addresses used by bitacle and other evil sploggers. So the plugin works only as much as you put work into it. But it makes the job so much easier. Although this plugin is indeed brilliant, it has more fatal flaw (at least, for some users): it doesn’t help if you use services like FeedBurner. I’ve been battling the last couple of weeks whether or not to force my visitors to switch feeds so that I can take advantage of plugins like this, I’d hate to start back at 0 RSS subscribers. Actually, it does. If you look in the article and try the plugin you will find that there is a special option for controlling Feedburner fed feeds. Do you know how AntiLeech determines that a user agent or IP is suspicious?… Exactly what’s the test? (e.g. ignoring of robots.txt? “browsing” behavior”? referrers?). The plugin’s functionality sounds promising, but without more information, it worries me that it could report false positives. Do you have more information? That’s odd. Owen Winkler usually has comments open and such. Anyway, how can this plugin determine false positives when it is up to you to determine if the splogger is splogging your site (stealing your content). It returns a list of potential user agents that it has detected are potentially scraping content from your site. You check to see if they are, and if they are, you put a check next to their user agent name and/or IP address. YOU CHOOSE, you decide, and you pick who is playing nice. If you are allowing your feeds to be picked up and used by other sites, as syndication or otherwise, then you DO NOT want to include them in your leech list. You have total control. No chance of false positives when you are in charge of deciding who stays, who plays, and who goes. Thanks Lorelle. I knew that the plugin doesn’t automatically block things for you. What I’m wondering about is how the plugin determines that something may be scraping your content. How it comes up with the list of “suspects” for you to research. I’ll try to answer a few questions. A small image is embedded in your outgoing feed. When a browser encounters that image on a splogger’s site, it requests the image from your site’s server. 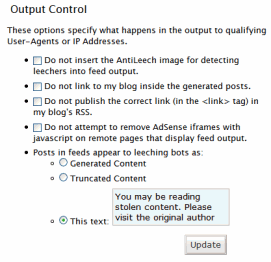 Because of this, AntiLeech knows that your image (and your content) is appearing on some page that you don’t control. The URL for this image is specifically created for the user-agent that requests it. AntiLeech uses this URL information to build its collection of potental user-agents and IP addresses to block. Will it report false positives? Well, no, because it reports any suspicious user-agents that meet the criteria I’ve described. You control which user-agents to actually block, so AntiLeech is never going to block someone unless you’ve told it to. Unlike email spam blockers, legitimate browsers are extremely unlikely to announce themselves using a string that you’re blocking, like “Bitacle”. So unless your visitors browsers identify themselves as “Bitacle”, they’re going to get the right content. Since most popular browsers don’t even allow you to change the user-agent without installing extra parts or setting odd settings, this simply isn’t going to happen. IP addresses are a little different in that you want to be sure that the IP you’re going to block is actually always the person that you know to be scraping your site. For some people, their ISP provides a different IP address every time they connect. If a splogger uses their home IP to scrape, then it’s possible it’ll change every time they log on. Can you block these IPs? Sure, but it’s likely that someone else who uses the splogger’s IP will later be unable to access your site. Bitacle, for example, seems to scrape from a system connected via an ISP in Spain. To be clear about FeedBurner, the options in the plugin only help you redirect your feeds to them instead of using the Ordered List plugin, which has a couple of issues. Currently, I’m trying to gauge the advantage of using FeedBurner (yes, I’m a paid subscriber), since they don’t seem to provide any method of managing the splog problem with the feeds that they re-publish. The only thing I see that is really useful is the feed statistics, which I’m about to get from somewhere else. As soon as I figure out how to cleanly bring my feeds back in-house away from FeedBurner, I’m going to. The AntiLeech plugin really just simplifies the process that you’d otherwise accomplish using complex .htaccess rules. Really, if you’re comfortable with the .htacces rules, and you don’t want the additional features like providing unique content to the sploggers, I recommend using the .htaccess rules instead of this plugin because they’re much more efficient (as would be any function that takes place at the server level, not that the plugin is not efficient). This helps a lot Owen. Thank you! I currently block things via .htaccess, but from your response I see that the added-value of your plugin (besides revenge) is that it yells back at me reporting that the image is somewhere. So even if Bitacle or somebody previously blocked changed their identification, AntiLeech will find them again. What a bummer that this can’t coexist with FeedBurner. Please keep us updated on your findings. So… if you’re still checking these comments, I have one last question: Sounds like your plugin won’t mess up with the .htaccess file. Right? It doesn’t require to open .htaccess for the server to edit, or does it? So, if Feedburner removes the image, hurting AntiLeech’s ability to find sploggers… The Digital Fingerprint (the other new plugin) will still go, and help you identify sploggers. Thanks, Owen. Hopefully that will help answer a lot of people’s questions. Maria: YES. You manually enter in offending IPs or user agents if you want. Otherwise, if they pop up on the list, you just check them in the check box to add them to the leech list. It’s really simple to use and you have total control over what happens. 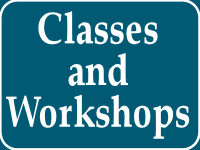 Give it a try and most of your questions will be answered. Maria: I think your other questions were answered, but specifically, no, AntiLeech does not modify your .htaccess file at all. It takes control via WordPress’ existing rewrite rules. The downside is that it will only protect WordPress. So if you have some other way to manage content on your site, you’ll need to protect it some other way. I’ll definitely give AntiLeech a try. Regardless of whether it’ll for me or not (and I hope and think it will), I wholeheartedly thank you for joining the team of copyright superheroes. We need more!!! It’s not about having something “worth” stealing. A huge number of WordPress.com blogs were grabbed by bitacle. A lot of them had little original or “worth” stealing, in my very humble opinion comparatively. Stuff is stolen all the time that you or I may think has little value, but it all has value to the owner. Those who care about what they write and who may be abusing it, tend to find more abuse than the casual blogger who doesn’t investigate the abuse of your site. So coming up with numbers means taking care and concern, self-interest, willingness to investigate, and professionalism into account. The more you do this as your business, the more likely you are to pay attention to these things and not call copyright infringement “flattery”. Some sploggers are very particular, grabbing only specific keyword related content. I’ve found my main site, Taking Your Camera on the Road, listed with many sploggers because I had the keywords in my article, not because my article had anything to do with their advertising product. Over four years ago, one was selling aquariums, fish ponds, and related equipment and grabbed my article on photographing fish and sea life through the glass of an aquarium. A little related, but not at all. Anyone’s stuff can be stolen. It can just take work to track them down. Through WordPress Plugins like AntiLeech and Digital Fingerprint, it’s getting easier to track the thieves. Oh, and the answer is likely to be in the millions. Hmmm, I have installed it and now I’m wondering how it works? Is there a man-page or example? Once you have activated the AntiLeech Plugin, you will find its panel under Options > AntiLeech. Thanks Lorelle! You have been an eye opener for me. I’ll download the Plugin right now and get this over with. Don’t indexing services punish you for being linked by known splogs? The download link doesn’t work. Anyone know where i can download it? I’ll let Owen know that he’s having problems with his site. I don’t know if this is the latest version, but you can download the Plugin script, and copy and paste it into a text file and save and upload it to your Plugins directory from antileech.php. Does this plugin still work with 2.7? I have tried it and my rss feeds are not being effected when I’m testing with it. If you are using WordPress.com, you cannot use WordPress Plugins. If you have a self-hosted version of WordPress, it should work. 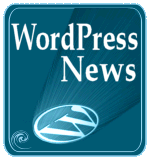 Contact the Plugin author for information on the status of the Plugin for the latest version of WordPress. I’m not sure that Plugin is still supported. Please see What Do You Do When Someone Steals Your Content for more helpful information. A Plugin will not help.